To buy the book, visit Amazon. Synopsis : When people we love pass away, they only take their presence with them. They leave their memories with us. The story revolves around ‘Alia’, an emotionally distant woman, and how the lives of four elderly strangers impact her own very deeply, bringing about a change in the way she treats herself and those around her. As the clock begins to tick and they each start to die, leaving their stories behind for her to learn from, she finds that the depression and trauma caused by their loss have left with her the gift of a lifetime… Realisation. In the tale of life, death and the ride in between, where there are always mistakes and never second chances, there is only one question. Can you make it through without regrets? My view : This book is meant to uphold the way of a good life imbibed with values and ideals. 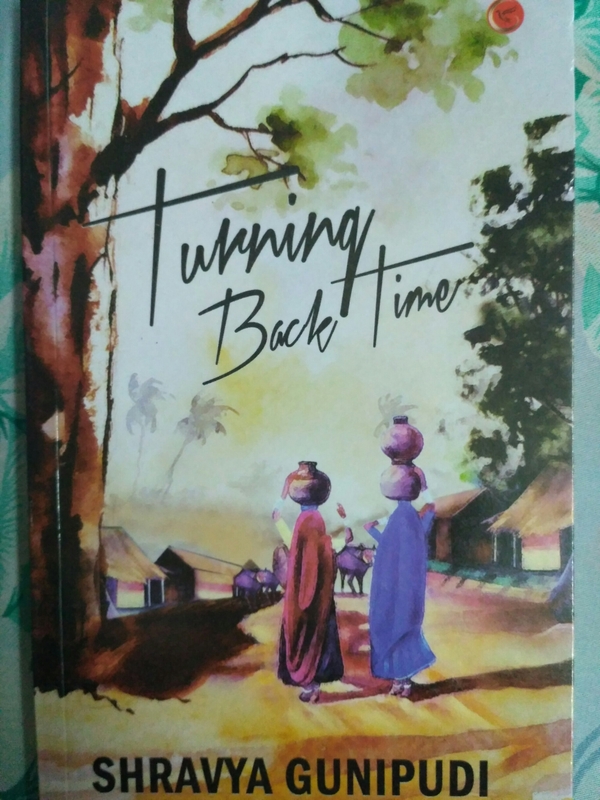 Turning Back Time is a book that has four short stories of elderly strangers and how their many mistakes gives Alia essential lessons for life. Her determination and her excessively busy way of living to support the family was snatching away all the beautiful snippets from her life. She was slowly turning into a person to whom work was a substitute for her regular activities and she was hard set on earning more money to have enough for her mother. However, the old age home that she works in has many elderly people whom Alia loves dearly and calls them grandpa and grandma. When these people who are so close to her, die one after the other, she realises the meaning of life and understands the inevitable feeling of regret that one always has no matter what their actions are. The four stories of Raman, Hema, Girish, Sita not only embark teachings to Alia but also helps us see the truth in life and how important the present moment is. This book by Shravya Gunipudi has the heart in its right place. It is warm and refreshing to see Alia’s cheerful demeanour. Her character is one that girls of her age will easily relate to. Kudos to the author for bringing this friendly and genuine character into our bookish lives. The lessons imparted to its readers is not too preachy and that makes the book a good read. The writing style and language is effortless and fluent. Mayank’s intense love and care for Alia is adorable and honestly gave me relationship goals. However, a lot of the four stories were predictable. I could honestly tell how exactly every story would end and that took away the charm from reading. Sometimes, the regrets of the occupants of the Old Age Home were a tad bit dramatic. If you are not put off by the predictability of the book, then you will definitely like the rest of it because Turning Back Time makes you feel good about your life and brings a carefree smile on your face.